The project consists of a new 101,000 SF, 800-student Intermediate School to serve grades 5 and 6. 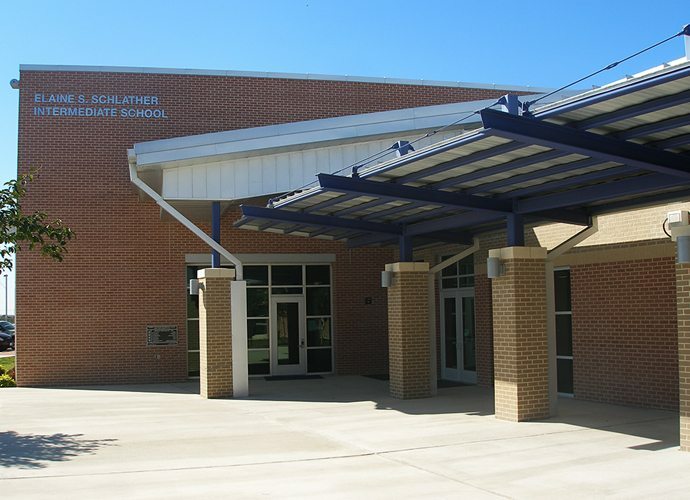 The new school includes administration offices, cafetorium and stage adjacent to and shared with the band room, full-service kitchen, media center, four computer labs, a gymnasium, covered open air multi-purpose space capable of being enclosed as a second gym, and 40 classrooms, including music, band, art, and multiple special education rooms. The design for each classroom includes interactive teaching boards; built in ceiling mounted projectors, five student computers, and a science style counter and sink for lab demonstrations. After hours public use areas are designed into the media center, as well as a secondary entrance for the cafetorium and gyms.